*more pix of the app screens are on the app store! 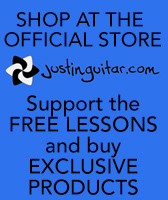 Knowing the notes on the guitar fretboard is an essential skill for developing guitar players. 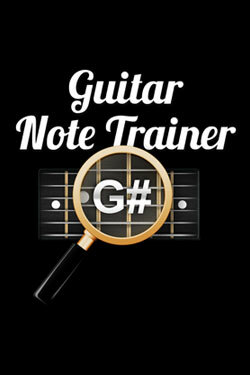 In this app I have included the four best exercises for learning the notes on as quickly and effectively as possible. Knowing the notes on the thickest two strings and knowing How to use Octaves will help a whole lot, so check out that lesson too! Name The Note simply shows you a note on the fingerboard and you have to name it. Find The Note tells you a note, and you have to find that note on all six strings! There is an "easy mode" where you can just find it one one string but much better to find them all. Memory Quiz 1 asks you to name a note by giving you it's position, this is an awesome exercise for building your internal fingerboard map! Memory Quiz 2 asks you to name all the notes in a given fret, a lot trickier but if you can handle Quiz 1, this is the next level shizzle! Support and FAQ are at the bottom of the page. If you have a question that is not answered below, please leave the question in the community forum (linked below), or contact Customer Services. Well, it could be a while. Many android users asked me to make an android version of my Time Trainer app, so I did, and so far it's only made back a quarter of what it cost to make :( Android apps just don't sell well enough at this point to make it worth it and I can't afford to lose thousands of pounds on developing apps for less than a thousand people to buy. When the Time Trainer Android has earned it's money back I'll send this one off for android development. Very sorry, hope you understand! Big thank you all at Apreel for their hard work making this app so awesome!